Sleep your way to Great Vision! Correct your vision while you sleep with safe, nonsurgical Paragon CRT therapeutic lenses, and enjoy great vision 24 hours a day, without the hassles of glasses and daytime contact lenses. Paragon CRT is a specially designed molding device worn during sleeping hours to reshape the cornea without permanently altering its physiology - giving you ultimate control and flexibility of your vision correction option. You simply wear the molding devices at night and take them out in the morning. The result is clear vision the whole day - at work or at home. Make life without glasses and daytime contacts a reality. 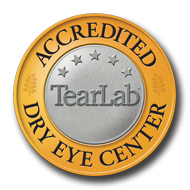 Ask if Corneal Refractive Therapy with Paragon CRT is right for you today! Wherever you choose to do your dreaming, choose Paragon CRT to correct your vision. You just woke up from a restful night�s sleep. But as you start your day, you notice something different, you can see without your glasses or contacts. And you haven�t had surgery. Well, you�re not dreaming, you�re just experiencing Corneal Refractive Therapy with new Paragon CRT-nighttime vision correction that gives you freedom from glasses and contacts all day without refractive surgery. How do I take care of the lenses? You should clean them after every use. Your eye doctor can tell you which care system is best for you. When should I replace the lenses? When should I replace the Paragon CRT lenses? Can I see while wearing Paragon CRT? Absolutely. You can see with the lenses on or off. Most patients see dramatic improvement in the first few days, with vision correction in one to two weeks. No. If you stop wearing the devices your vision will return to the way it was. Contact lens corneal reshaping is not a new concept. But, Paragon CRT is the first therapeutic molding device proven to work and proven safe for overnight wear, that�s why it�s been approved by the FDA. Paragon CRT is a specially designed oxygen permeable molding device used in Corneal Refractive Therapy. These molding devices look and feel like gas permeable contact lenses. CRT is a non-surgical process that reshapes the cornea of your eye while you sleep. You simply remove the devices when you wake up and are able to go throughout the day with great vision.